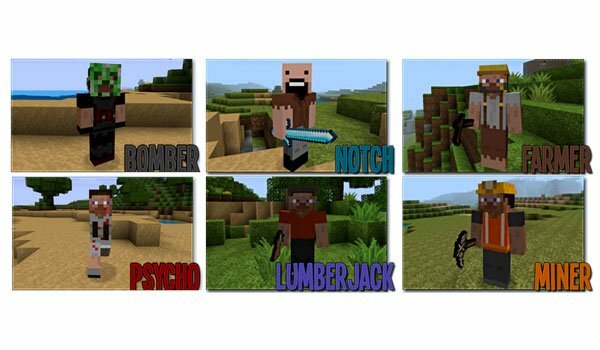 Add “Human” to your Minecraft worlds with this mod. We have a woodcutter , a miner in the caves performing their tasks, a farmer which will randomly create farms and a reproduction of Notch. The other two beings are Psycho, who is going to be in your search as well as Bomber, a being that will explode near you. How to install Mo’ People Mod for Minecraft 1.7.2?